So my girlfriend, Susan and I wanted to take a vacation together and do something really different rather than spend another week at an all-inclusive resort in the Caribbean somewhere. And then one day I get an email from Sue asking me to check out this website about campervan rentals. Her idea was to cruise the Pacific Coast Highway from San Francisco to San Diego. I was blown away by the idea and we started planning our ten-day vacation together! We have both camped and enjoyed hiking and fishing our whole lives. So we were both excited about the idea of hitting the open road and living like free spirits. We wanted to experience the exhilaration of seeing new places, meeting new people, and the feeling of real freedom. Well, we experienced all of that and then some. Ultimately we decided to fly to Las Vegas and rent a nineteen foot long Class C, RV from Cruise America. We have always camped in a tent, pop-up or travel trailer. This was the first RVing experience for either of us and when we saw the size of this compact RV we were really concerned that it would be too small. Would we really be able to spend 10 days in 152 square feet together? 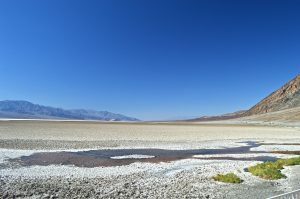 We planned a 10 day 2000 mile vacation which took us from Las Vegas to Death Valley National Park through the Mountains in Sequoia National Park and then on to San Francisco. And then from San Francisco, we drove all the way down the California coast to through Big Sur to Huntington Beach and then all the way back to Vegas to fly home. During our ten days in California, we experienced some incredible places. 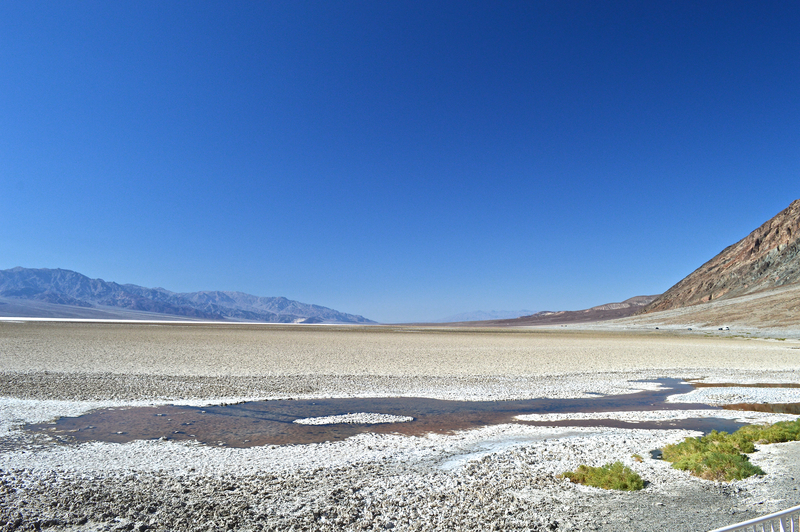 We saw the salt flats of Badwater Basin in Death Valley, which is the lowest point below sea level in the US. From there we drove to Sequoia National Park. We were amazed at the incredible overlooks in the mountains and the giant Sequoia trees. Sue was scared to death as we drove the RV on roads on the edge of steep drop-offs with no guard rails. From San Francisco, we headed south on the Pacific Coast Highway. In my opinion, North to South is the best direction to travel the PCH. It puts you on the ocean side of the road which provides a better view of the ocean and cliffs. And it makes pulling into the hundreds of scenic overlooks much easier since they are all along the ocean side of the road too. 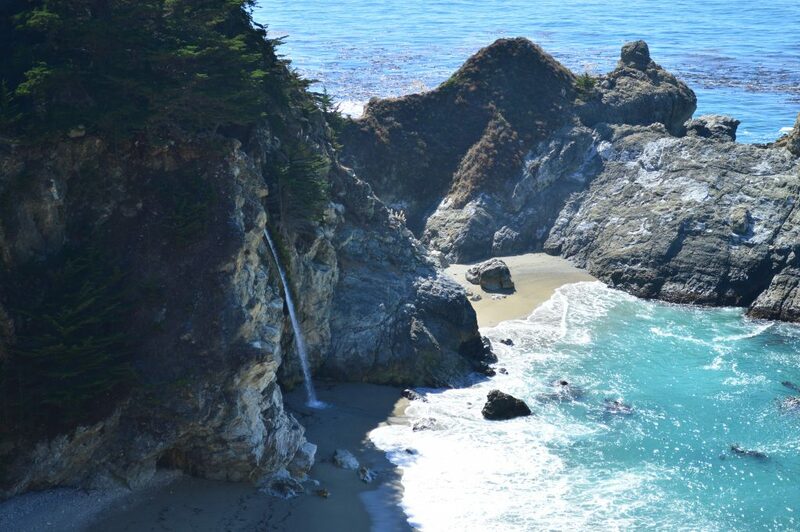 We were mesmerized by the sea cliffs along the Pacific Ocean as we cruised the PCH around Monterey Bay, through Carmel-By-The-Sea, to the amazing ocean waterfall at Big Sur. From there we kept heading south past Morro Rock at Morro Bay and through Pismo Beach. We explored the town of Gaviota, Santa Barbara (a gorgeous city) and Ventura, and then Malibu to see the gorgeous homes on the beach! As we continued our journey south and we visited Santa Monica and the famous pier. And then Sunset Beach and finally Bolsa Chica State Beach in Huntington, where we camped on the beach! While we traveled we saw the most incredibly beautiful sights. But more than anything we found a sense of peace, freedom, amazement and wonder that neither of us had ever felt before. We also found ourselves. We found that RVing allowed us to be free and to experience the world without bias from the news or other outside interference. Somewhere along the way, we realized that we had formed a different perspective about who we are and what matters most to us. We found it all in ten days and it changed our lives forever. When we came home from our vacation and went back to our corporate and technical jobs nothing was the same. We both knew we were not where we wanted to be. Fortunately for us, we both realized we were more dissatisfied than ever at work and we both knew we needed to come up with a plan to change the lives we were living and start to live the lives we wanted to live. 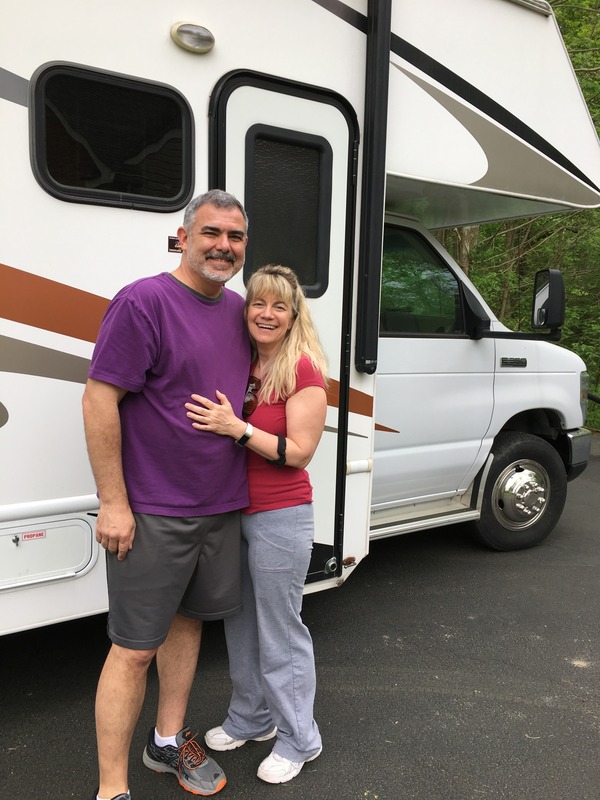 And so we have taken steps toward changing our dreams into the reality of becoming full-time RVers. We bought a Class C RV together and named her Chessie. We’re from Maryland and so it seemed like a good name. I sold, donated and threw away tons of stuff I had accumulated throughout the years to minimize my possessions. I then sold my house and moved in with Susan and we began to minimize our expenses. And then we started RVBlogger.com. This blog is our way of sharing our journey, our escape plan, our re-prioritization of what matters and our experiences as we work toward hitting the road full-time. Over the years we have learned a ton about RVing, camping, hiking, biking, and fishing and we want to share that information so maybe you can avoid or learn from some of the mistakes we made. And we made plenty! We enjoy researching and trying out new gear, learning how to make RV repairs, coming up with efficient organizing and storage ideas, planning our getaways, camping in our RV and recommending good quality products and services that we find useful on our Recommended Gear and Resources pages. We hope you can join us on our journey. But most of all we hope that you find and create the life you are looking for too. Thank you for taking the time to read our story. If you have an interest in contacting us then please feel free to go here and send us a message!